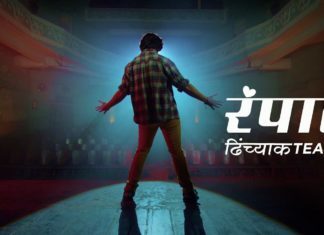 The much-awaited first song from upcoming Marathi film ‘Sarva Line Vyasta Aahet’ was revealed on social media by ‘Marathi Stars’. 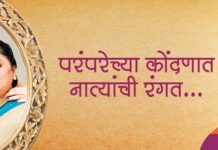 Starring two huge ‘Marathi Stars’ Siddharth Jadhav & Saurabh Gokhale! This song captures the crazy energy that Siddharth aka Siddhu represents. Both Siddhu & Saurabh Gokhale share flawless chemistry in this song. We all have these two kinds of friends one like ‘Siddhu’ who is very popular among girls & changes his girlfriend at regular interval & then there’s another lot of boys who struggle very hard to find a girl! Even if they find a girl they struggle to tell her their feelings! But will Saurabh Gokhale’s character go through a transformation? 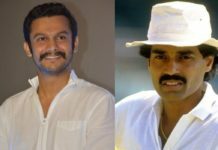 That is to be seen in the film ‘Sarva Line Vyasta Aahet’! ‘Sarva Line Vyast Aahet’ hits theatre at the beginning of the new year on 11th January 2019! So be ready for an out & out entertaining comedy that will kick-start your year on a high note!